Seven paintings taken from their Jewish owners in the 1930s are being returned to their surviving relatives as part of an ongoing French effort to give back looted, stolen or appropriated art. 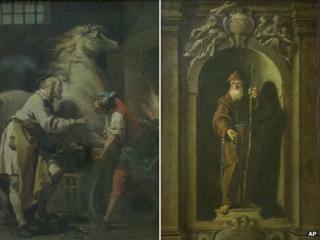 The works include four paintings that currently hang in the Louvre in Paris. 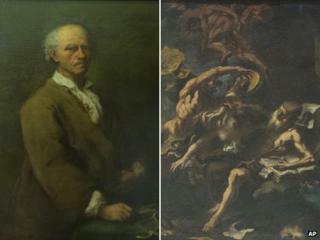 Six of the pieces were owned by Richard Neumann, an Austrian Jew who sold off his collection at a fraction of its value in order to leave France. The seventh was stolen in Prague from Josef Wiener, a Jewish banker. All seven were destined for display in an art gallery that Adolf Hitler wanted to build in Linz, the Austrian city in which he grew up. The gallery was to have been filled with artworks looted across Europe by the Nazis from museums and private collections, many of them Jewish. The claims of the families involved were validated by the French government in 2012 after years spent researching the works' provenance. The six works from the Neumann collection are to be restored to his grandson Tom Selldorff, now 82 and a resident of the US.